The X-Clamp from Rugged Ridge features Pivotal Fit Technology, an innovative and unique adjustment which allows perfect fit mounting to tubes ranging from 2.25 to 3. No gaps, no gaskets! Rotate the X-Clamp to fit your tube, pivot the mounting bracket to the desired position, and then apply the logo to the front. 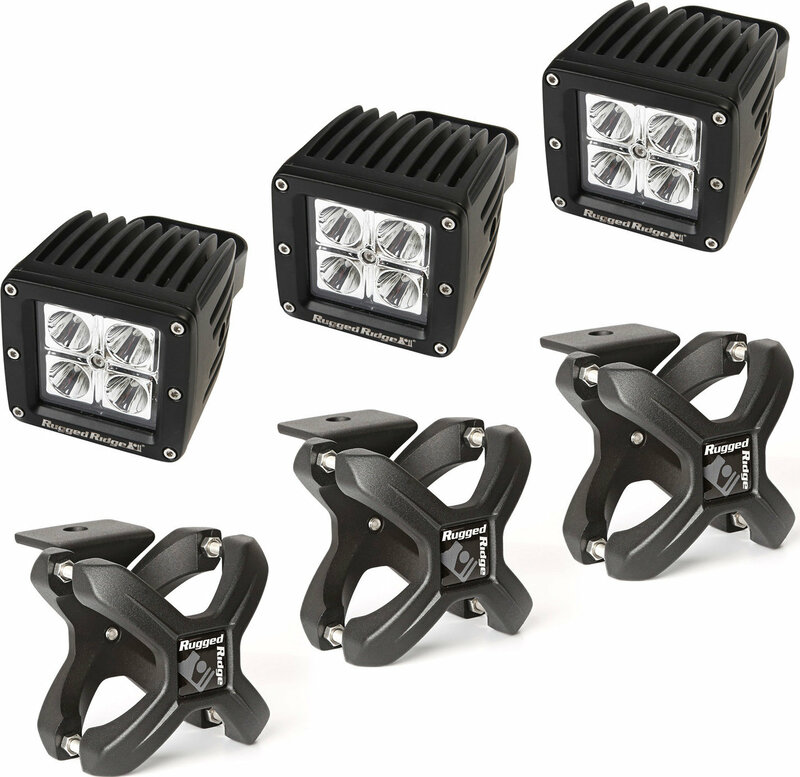 square 16 watt light features black powder-coated aluminum housing, stainless steel hardware, and 4 CREE diodes with 30,000 hour life.